Popularly called the twin city of the famous Hyderabad, Secunderabad was named after Asaf Jahi Dynasty’s third Nizam, Sikandar Jah. Secunderabad has a rich cultural background, as you will find the place to be home to many communities apart from the natives. Anglo-Indians and Parsis live here. Having been developed by British directly during their rule, the buildings in the city and the life style of the people are influenced by British. Large military establishment was maintained here during British rule. You will love your vacation in Secunderabad, as the place lets you have an insight of the bygone era. Here, we have listed the top 8 places to visit in Secunderabad. 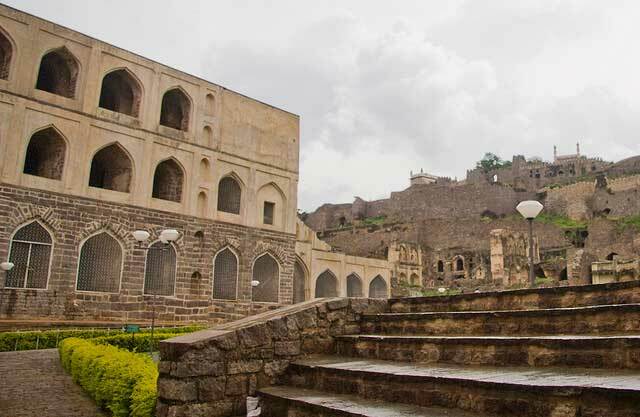 Golconda Fort represents the architectural wonders of an era that had known no modern technology. More than 8 centuries old, the history of the fort is said to have begun somewhere around the year 1143. Golconda fort lies at an altitude of above 400 feet on a hill. It was built by Kakatiya kings during 13th century. The world famous Kohinoor diamond was found here. The fort, which was initially constructed of mud, underwent various renovations over the years until it became an almost impregnable fort made of granite during the period of Qutub Shahi dynasty. It finally fell into the hands of mighty Aurangazeb who had to wait for nine long months to win the fort over with the help of a traitor. The acoustics effects in the fort are stunning as the sound of handclap made at the entry gate can be heard a kilometer away at Bala Hissar, the highest point. The system was supposed to have been developed to warn the royals of enemies’ attack. You could visit the fort in the evenings to watch the sound and light shows. 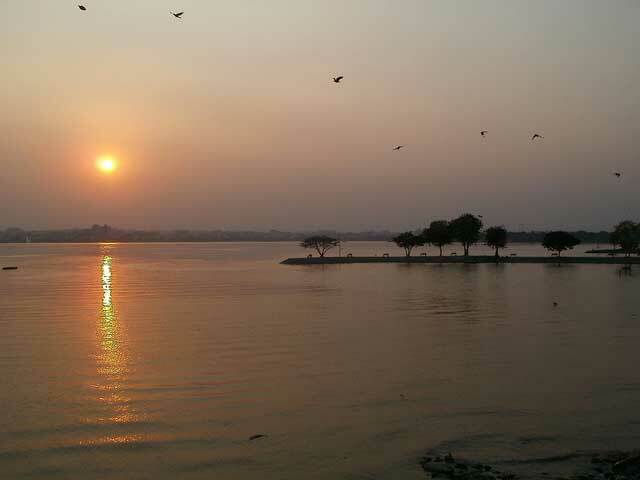 Hussain Sagar Lake is a man made wonder. The lake connects Hyderabad and Secunderabad. It was constructed in 1562 during the period of Ibrahim Quli Qutub Shah. The perennial water in the sprawling lake encourages various water sports. Some of the water sports available here include boating, para sailing and skiing. A 16-meter tall Buddha statue made of white granite, which stands at the centre of the lake, adds attraction to the spot. If you are more for the beauty than the water sports, you are sure to love the sight of Hussain Sagar at night. The row of lights glimmering along the sides resemble diamond-studded necklace. The very sight of this delta region will fascinate nature lovers. Rich in coconut grooves and the stunning landscape are a real feast to the eyes. The awesome greenery and the rich landscape that surrounds the region flaunt the gift of Mother Nature. Some of the ancient temples in the region are fine specimens of the architectural grandeur. Do not miss visiting the lighthouse located in the mangrove forest while cruising in the waters here. Birla Mandir is one of the most popular pilgrim destinations in India. 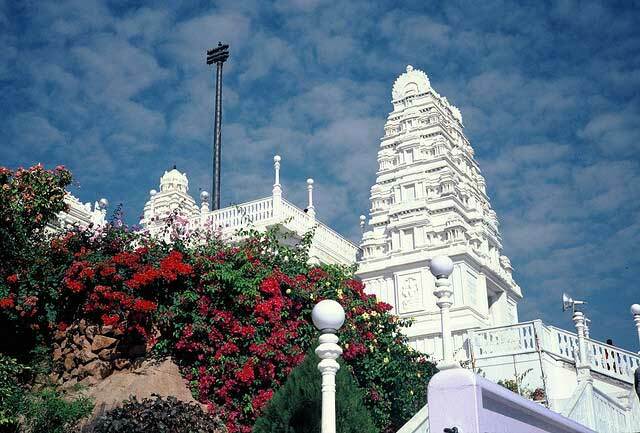 The temple is situated on Kalapahad hill and it is devoted to God Venkateswara. It was constructed by Raja Baldev Birla. The white marble construction is proof of amazing architecture with a blend of South Indian, Utkala and Rajasthani styles. The delicate carvings in the temple highlight the artisanship involved in the making of the temple. Located at a height of 280 feet, the temple offers spectacular views of Hussain Sagar Lake, Birla Planetarium and Lumbini Park. Now functioning as a military hospital, Trimulgherry Fort had in the past was comprised of arsenals, barracks, stables, military offices and mess houses. 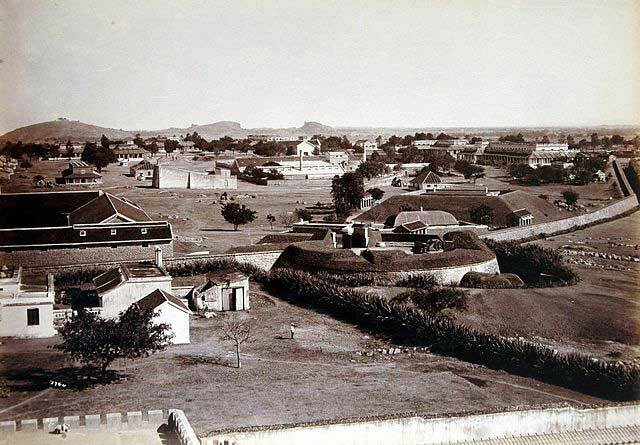 The fort was constructed in the year 1867. It is surrounded by 4.82 km deep canal. It stands proof of the architectural brilliance of the period. For inquisitive minds that have too many questions on universe, Birla Planetarium in Secunderabad might be the answer. This is a ‘must-visit’ place in Secunderabad as it educates on the universe. The science hall here offers interaction and hence you could participate in the scientific experiments held here and enrich your knowledge. The planetarium, which was constructed in 1985, plays amazing shows that have wonderful visual and sound effects. One of the recent attractions added to the collection is the skeleton of 160 million year old Kotasaurus Yamanpalleinsis. Saidanimba Tomb is one of the finest examples of architectural grandeur in Secunderabad, which unfortunately is not given the attention it richly deserves. Owing to discoloration, the brilliance of architecture displayed is lost on the eyes of a hurried passer-by. Constructed by Abdul Haq Diler Jung in 1883, the tomb is a fine blend of Mughal and Qutb Shahi architecture. If you have an eye for architecture, you will overlook the discoloration to enjoy the stunning workmanship. All Saints’ Church was built in 1860 AD. It is situated in Trimulgherry Township. Located in a serene atmosphere, the church constructed in Gothic style of architecture, had started to develop cracks that necessitated urgent action to get the church back to its glorious form. Taking into account its rich cultural association with the past, it was decided to restore rather than to build it all over again. Now, you find an excellent and intricate workmanship that went into the restoration of the church to maintain its cultural heritage. After you visit Secunderabad which is one of the must-visit places in Andhra Pradesh, you will be overwhelmed by the richness of nature’s works and monuments that symbolize rich culture of the bygone era. You are sure to be mesmerized by nature’s creations and mankind’s creativity. Have a great tour of Secunderabad and enjoy the essence of the past cultural. We have been to Surendrapuri amazing mythological theme park located near Yadadri, Telangana, India. It is the first of its kind mythological disneyland with over 3000 statues and replicas of all the famous temples of India. Once can relive the epic period of Ramayan, Mahabharat, Bhagawat and Buddha. It takes 2 Hour 45 Mins to see the complete museum. A 3 km guided pathway takes the visitors in the world of spiritual wonders. Also the other attractions at Surendrapuri are Panchamukha Hanuman Temple, a 65-feet double sided Panchamukha Hanuman- Shiva statue, Navagraha and 108 feet Shivlinga. 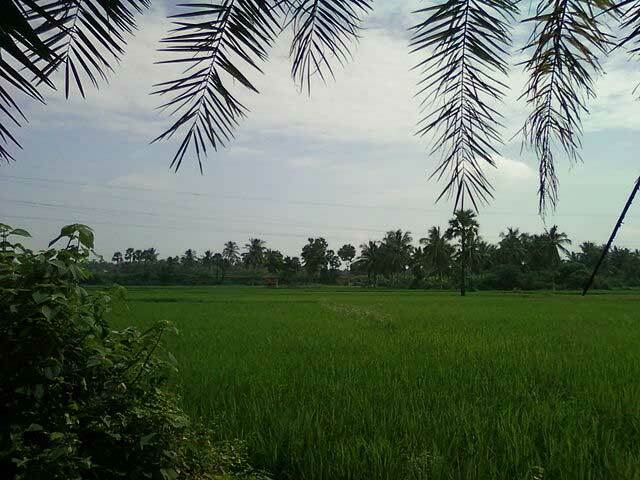 Surendrapuri is located on Yadadri Road, Yadadri- Bhuvanagiri District, Telangana, India.